Here’s a behind the scenes look at the making of a custom jacket for the band Clutch. Titled Hess454, this Dickies Eisenhower Jacket features the artwork of Cleveland-based artist Derek Hess. This was a fun project because we were able to combine screen both screen printing and embroidery; and we’re especially proud of our embroidery department for their amazing attention to detail and care in creating the custom ‘patch’ of the Clutch logo on the jacket fronts. We’re also happy to announce that we are the Cleveland Corporate Challenge Team of the Week. I could bend the truth and say it’s because of our beast-like athleticism, but we were nominated due to our efforts in working with local and global organizations such as the Earth Day Coalition, Forest Stewardship Council, and the Rainforest Alliance to encourage sustainability and promote green practices, which is a home-run in our book. We were happy to have the great people of Dim And Den Sum stop by to order stickers and flyers, but we would by lying if we didn’t admit we were even more happy about them staying in our parking lot for the afternoon! Dim and Den Sum is a gourmet, locally sourced food truck that roams the streets of Cleveland serving comfort food with an Asian twist. Hungry Jakprinters and Clevelanders flocked to the DADS Truck to partake in their amazing food: Pork sandwiches, tacos, tots, burgers and more… it was a good afternoon. Follow Dim And Den Sum on twitter to see where they will be each day. IndieMerch and Dan Mumford are teaming up to create Mumford Clothing, and they came to Jakprints to produce t-shirts and posters. This video shows a little behind the scenes action of the process behind this new clothing line, which includes a look at t-shirt screen-printing, embroidery and full color printing. Hailing from central London, artist Dan Mumford has created some of the most viscerally stunning imagery from his work space in Studio 100, a collective group of artists, illustrators, and graphic designers. Armed with a client list that includes musical standouts The Devil Wears Prada, Bring Me The Horizon, and Gallows, Mumford has also tackled major companies such as Nike and Adidas. He is best known for his cover art for “Homesick,” the largely successful album from A Day To Remember, and his extensive t-shirt work for The Black Dahlia Murder. Screen Printed T-Shirt For Andrew W.K. Our latest screen printing job for Andrew WK got the whole apparel floor pumped. This 7-color simulated t-shirt had our own Mike Clinton channeling his inner WK. The Conversation Prism, developed by Brian Solis and Jess3, is a visual mapping of the shifting landscape of social networks and micro communities. It’s a living, breathing representation of social media, a great tool for marketing, finance, human resources and more. Factory 13 experimental skateboard manufacturing is an independent company owned and operated by skateboarders. 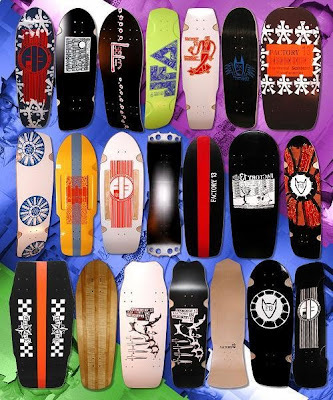 They design, manufacture, print, distribute, and ride the best skateboards in the world. Factory 13 began on December 1st, 1999. Since then they have been exposing the world to the Cleveland punk style of skateboarding that is always raw. They recently re-settled on the west coast so all of their boards are now handmade at their shop in Long Beach California. Check out this clip from Fuel TV’s visit to Factory 13 at their Ohio location for an insiders look at how they operate. We produced these screenprinted 8 x 5.125 inch stickers for Factory 13. They went with two inks plus the white ink backer. The white ink backer is printed behind the other inks which ensures that the colors pop when applied to any color surface. These stickers have a custom die-cut shape and are printed with UV stable inks so they are expected to last in weather for up to five years! To get your stickers today go the Jakprints Stickers page or give us a call at 877-246-3132. We just printed another amazing and colorful t-shirt for metalcore sensation The Black Dahlia Murder. The design is based off the cover of their latest release “Deflorate”. We produced two versions: a 10 color simulation on white Alstyle #1901 shirts, and that same 10 color simulation using a white base on black shirts. We put together a quick video to give you a behind the scenes look at the making of it. The shirt and their new album “Deflorate” are available online at indiemerchstore.com.